Keeping up your fluid intake keeps you healthy and your skin looking better but what menopause symptoms might it also be linked to? There are so many small signs that show if you are dehydrated, and you may not realise just how important it is to keep your body’s fluid intake up. If you are running low on water, then you are depriving your body of an essential ingredient because we are composed of at least 75% water and it is essential for virtually all our bodily functions. You may be putting your symptoms down to ‘just menopause’ – and that may be true – but lack of water can often give you similar symptoms without you realising the real cause. * Hot flushes can result when our nervous system is affected and that triggers hot flushes and water fuels our nervous system. If your flushes are particularly severe with sweats, then you will be losing even more water and need to compensate. * Mood swings and anxiety are common at menopause, and again dehydration can cause this along with panic attacks, and stress palpitations. * Brain fog and poor memory may be caused by low fluid levels as this can affect brain function. * Headaches are most commonly associated with lack of fluid, particularly if you are a heavy coffee drinker as you will be naturally losing water as it can act as a diuretic. * Joint pain is often reported at menopause and, as well as the effect of lower hormone levels, your joints are affected by dehydration, causing inflammation and pain. * Skin needs water to stay plump and firm. Your face is often the first place to show the dehydration with changes in skin texture and softness. 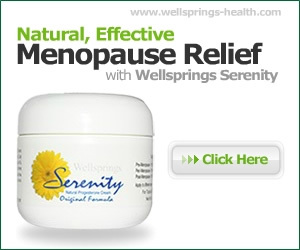 * Itching skin is common at menopause and dehydration can trigger it. * Constipation is often down to not sufficient water to move stools easily through the gut for elimination. Just drinking more water can make a real difference. Just drinking more plain water doesn’t seem that attractive to many, but one simple trick is to have a glass of it for every hot drink you have – just before you drink that coffee or tea as that will really help with dehydration. You may think you drink plenty of fluids, but many common drinks actually make the situation worse as they act as diuretics to flush water from your body, not what you need. Other than tea and coffee, fizzy drinks – particularly diet ones – as well as alcohol all remove fluids from your body. If you really can’t stand the taste, then cheat by adding a small amount of apple juice to a glass of water, or a non sweetener cordial such as elderflower. Room temperature is the way your body likes water best and start slowly with just a glass or two extra a day and gradually increase it. First thing in the morning is great to help your body replace fluids lost in the night from sweating, and renewal of your main body functions such as removing toxins and clearing the liver. Warm water with a squeeze of lemon juice stimulates your metabolism and can help with constipation too. If drinking a whole glass still seems too much, then keep your bottle of water handy and fill a glass. Just drink some of it and then immediately top up the glass again and sip again as soon as you can. This way you are taking in water, but not feeling over faced by it.